It’s that time of year again – can you believe it? Christmas is now only just around the corner, which can only mean one thing: planning the perfect end-of-year bash for your Xmas celebrations! A fun, festive Christmas party is a great opportunity to bring the whole office together and let your hair down after a busy year. 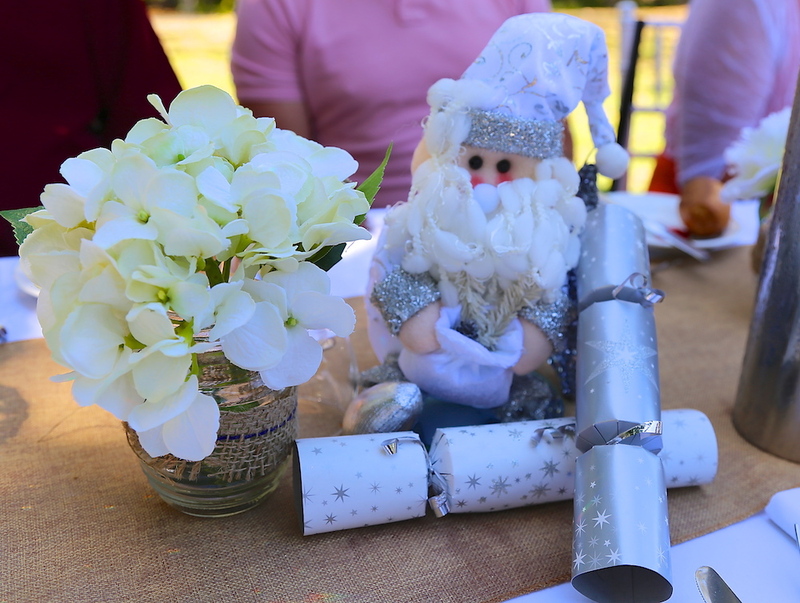 But where do you begin with planning a memorable Christmas party here on the Gold Coast? 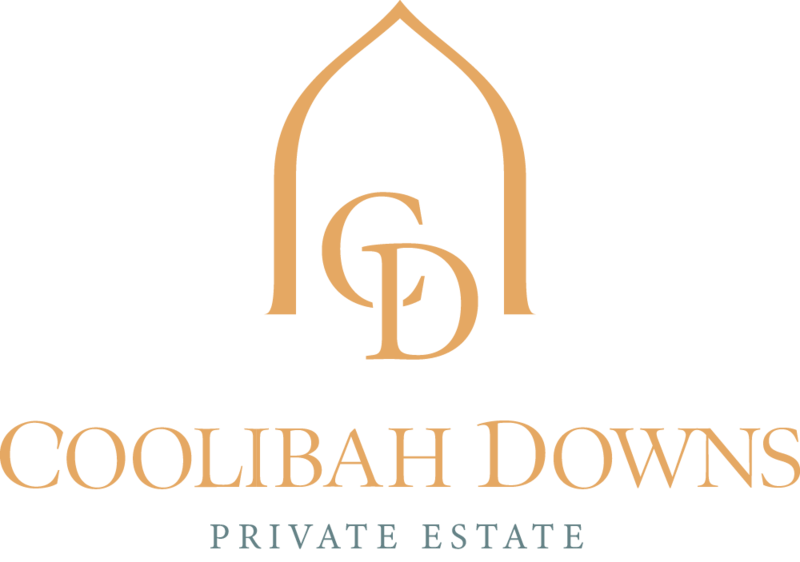 At Coolibah Downs, we love hosting end-of-year functions for businesses on the Gold Coast, Brisbane and beyond. 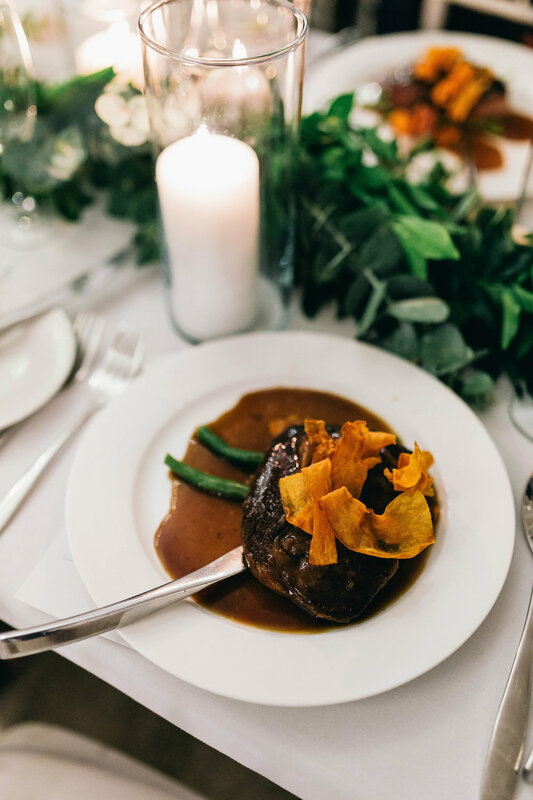 If you’re currently planning your upcoming Christmas celebration, keep reading for our top tips to help you throw a party to remember. 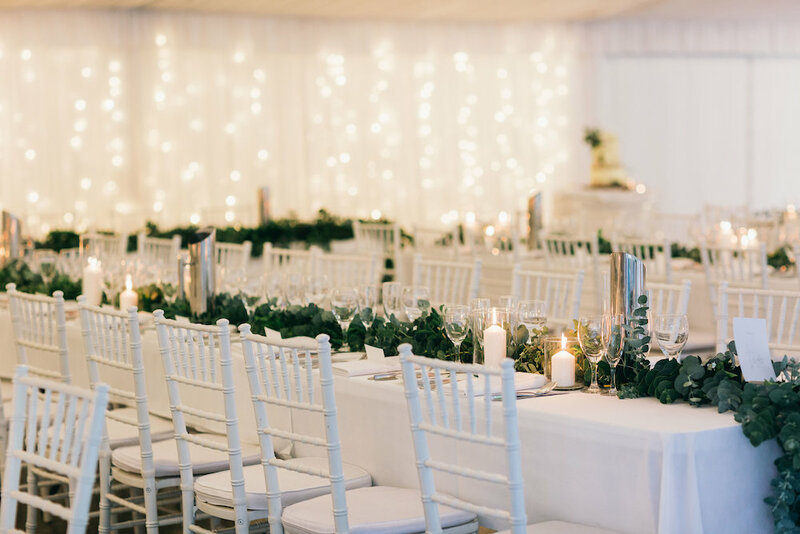 Your event location will play a huge role in the tone and atmosphere of your party, so make sure you choose a function venue that suits the vision you have in mind for your end-of-year festivities. 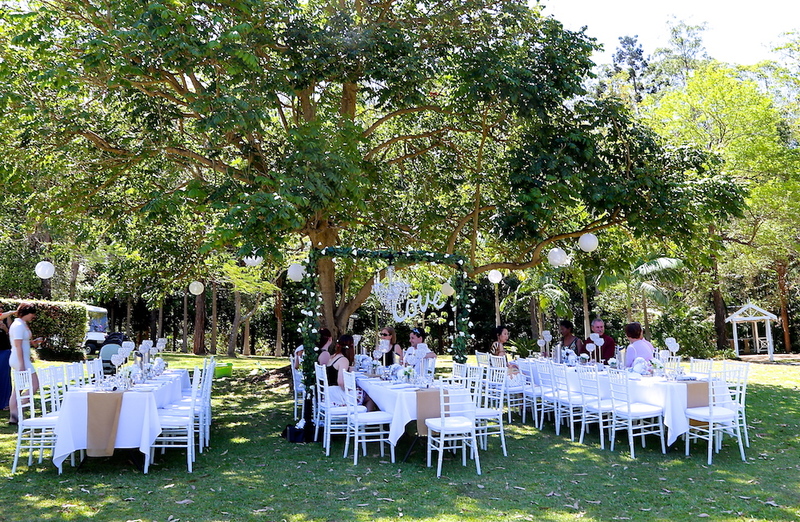 Situated on 10 acres of lush gardens, Coolibah Downs is an ideal function venue for Christmas party celebrations here on the Gold Coast. 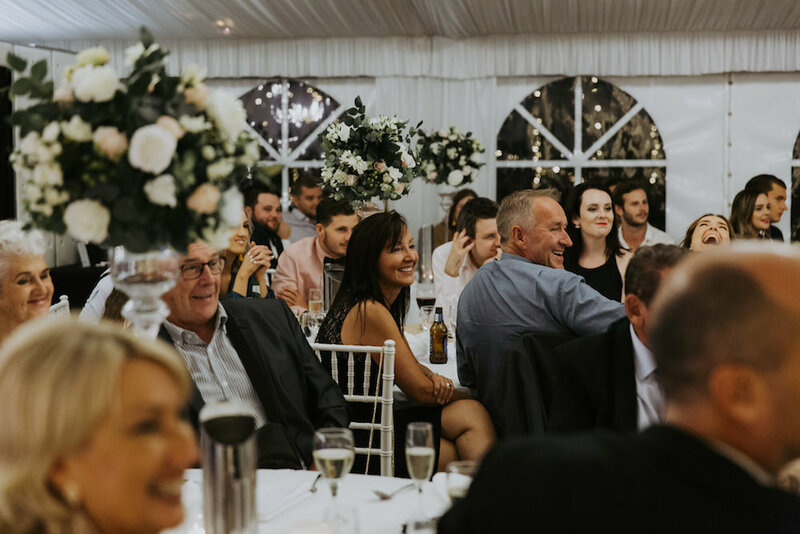 Conveniently located with plenty of accommodation options nearby and boasting on-site catering, beautiful surroundings and all-inclusive packages, our hinterland function venue can host groups from 20-160 guests. 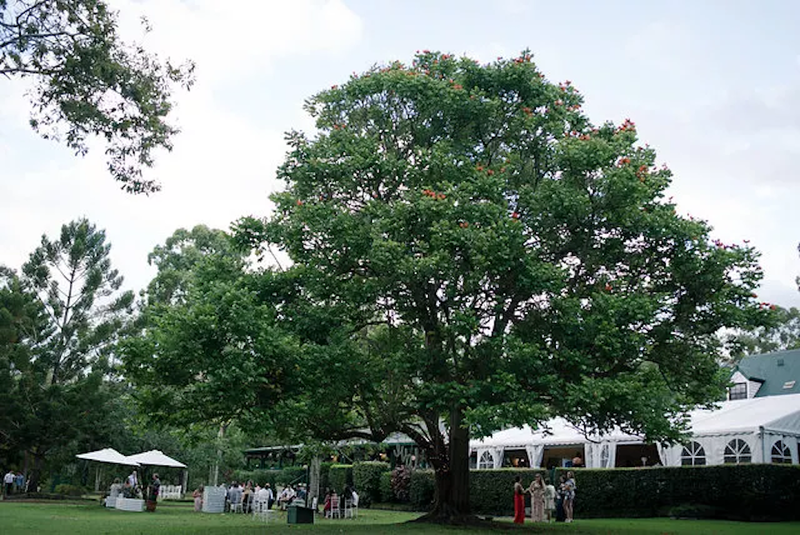 Take your pick from our unique venue spaces, including our private marquee, cafe marquee, and expansive lawns and gardens. 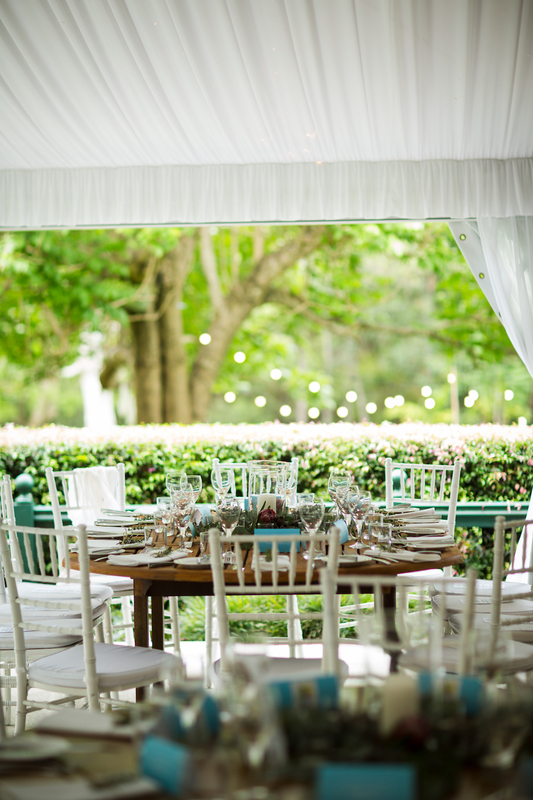 With statement features including our tranquil lily pond, garden gazebo and lush landscaping, we have the perfect venue to wow your guests and set the scene for your celebration! 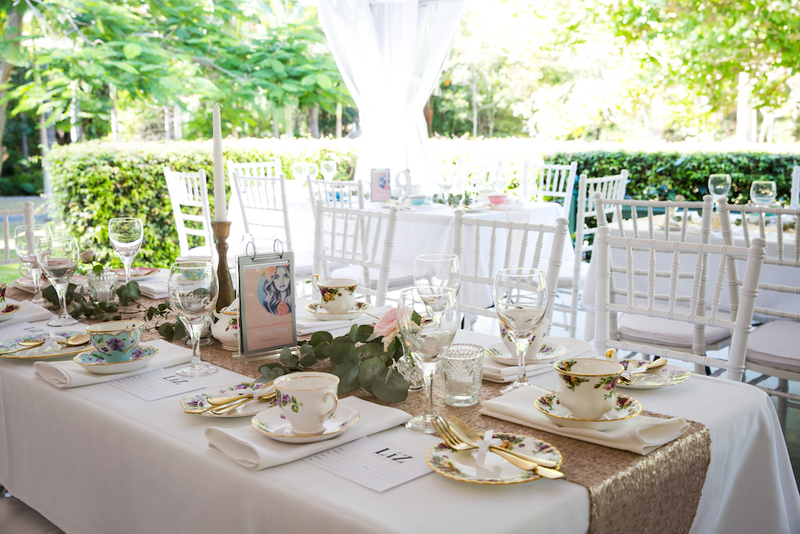 Next, you’ll want to consider the style and “flow” of your event. What kind of celebration are you picturing for your end-of-year bash – for example, a long lunch, gala dinner or relaxed cocktails in the garden? Every workplace is different, and there’s no one-size-fits-all approach when it comes to planning a Christmas party. 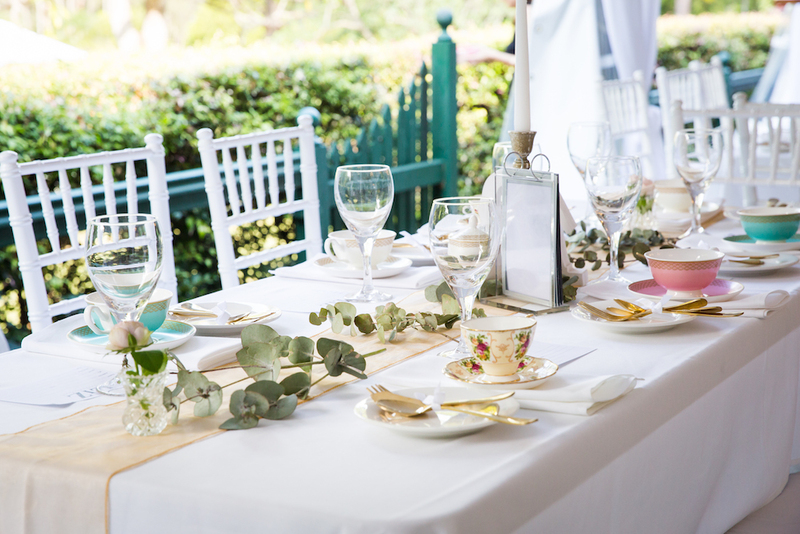 From elegant garden soirees to large cocktail functions, we have several different options and packages available to suit your own unique requirements. Garden cocktail party: Including a welcome cocktail for guests, outdoor lawn games, food platters and scattered cocktail seating. 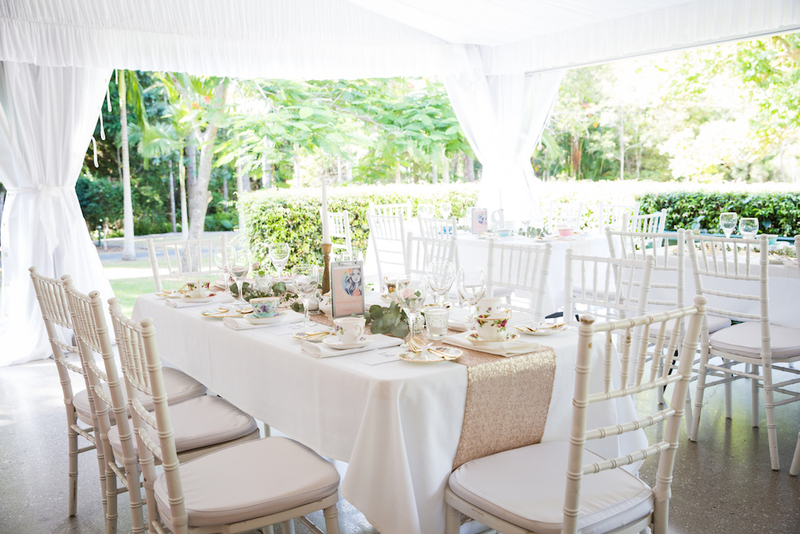 High tea party: An elegant soiree complete with a delicious high tea menu, white tiffany chairs and festive table styling. Luncheon: Perfect for foodie lovers, a sumptuous 2-course menu created by our on-site chefs. 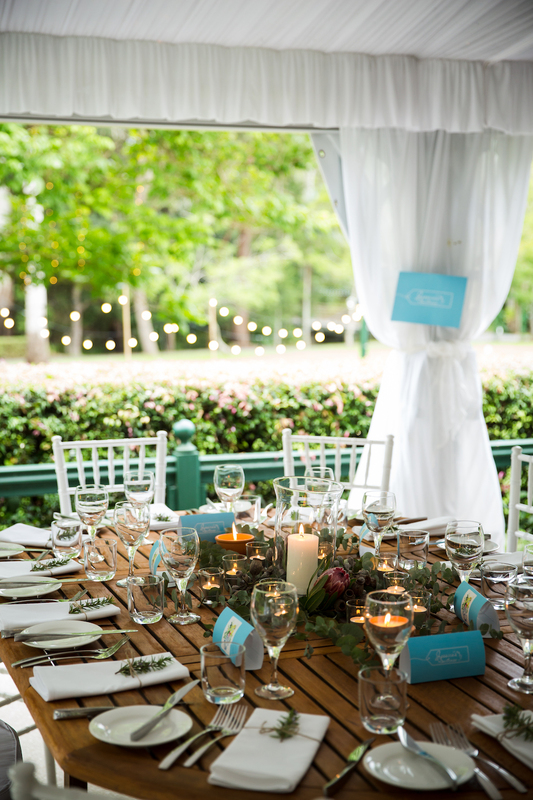 Dinner party: Kick off the night with canapes and lawn games before devouring a buffet style or alternate drop menu inside our beautiful marquee. 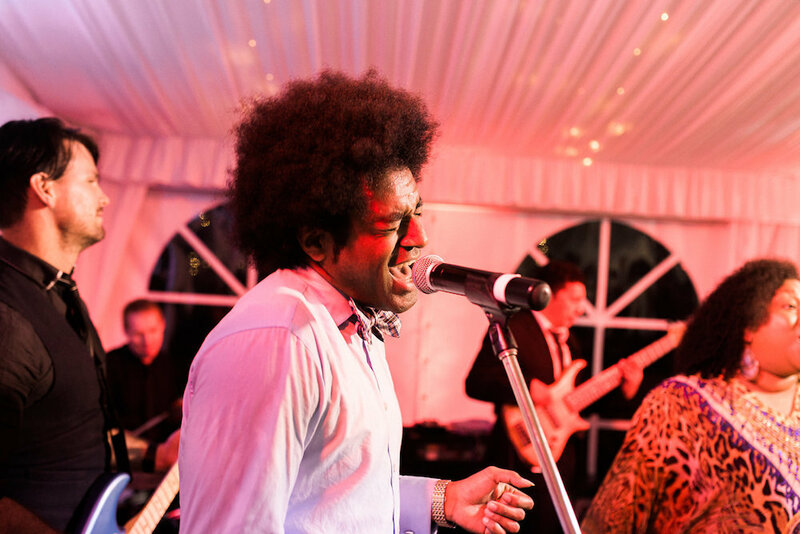 Our unique Christmas party packages also include private venue hire, on-site parking, PA systems and a professional coordinator to ensure your event runs smoothly from beginning to end. Food and drink is the heart and soul of every good Christmas party! 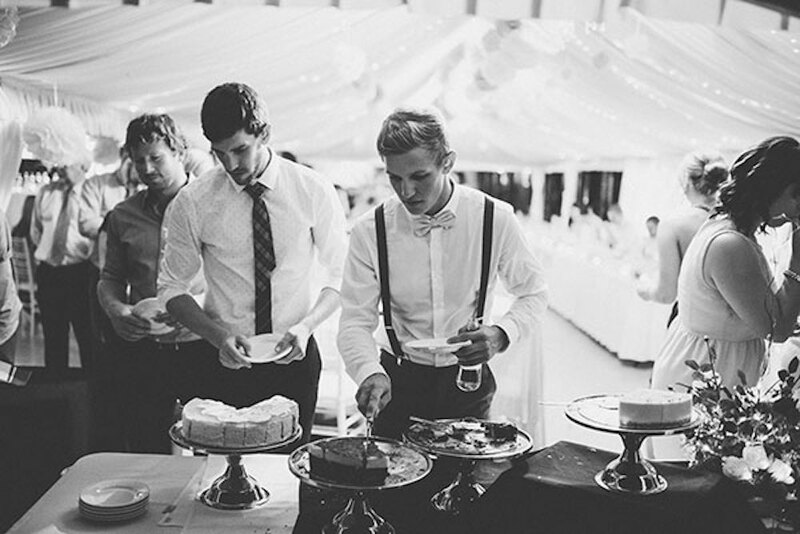 Give your guests a dining experience to remember with our convenient (and delicious) food and beverage packages. 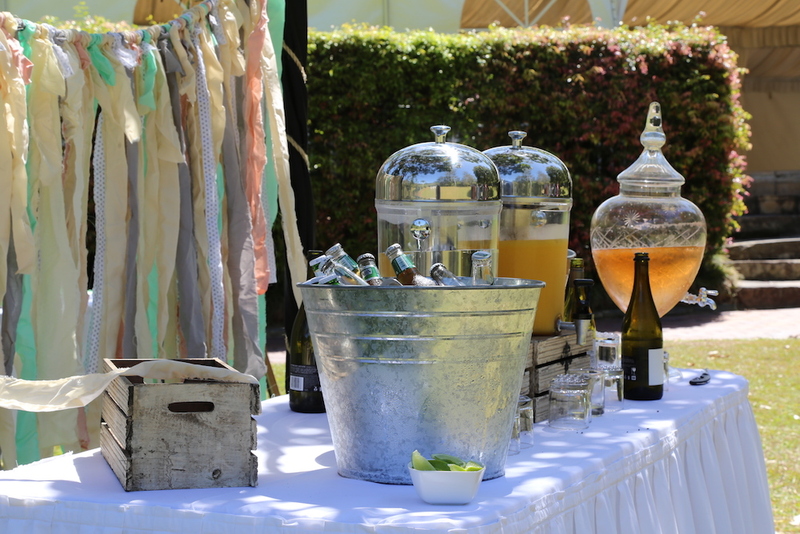 From canapes and platters to nibbles or shared lunch, our popular food options are complemented with premium wine, beer and cocktails. Don’t forget to set the scene for your Christmas celebration with creative, festive styling. 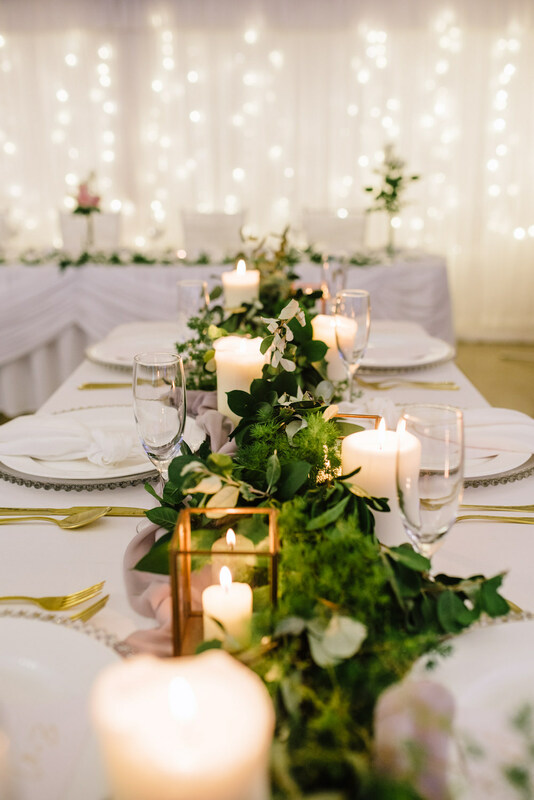 Think foliage garlands, glowing candles, beautiful cutlery and crockery, sequin table runners, floating balloons….the possibilities are endless. Or, let our team take care of your table styling with a selection of centrepieces and decor to create a warm and inviting atmosphere (without you having to lift a finger). 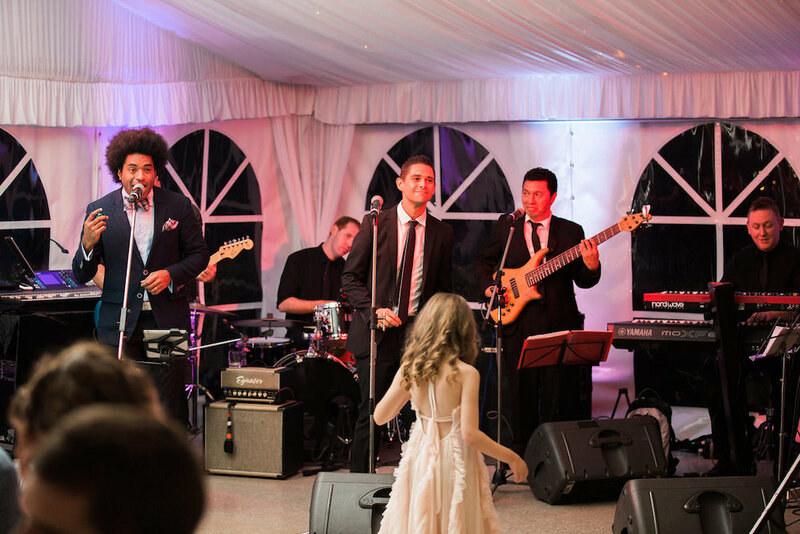 Entertainment is key to engaging your guests and creating a truly fun and memorable setting. 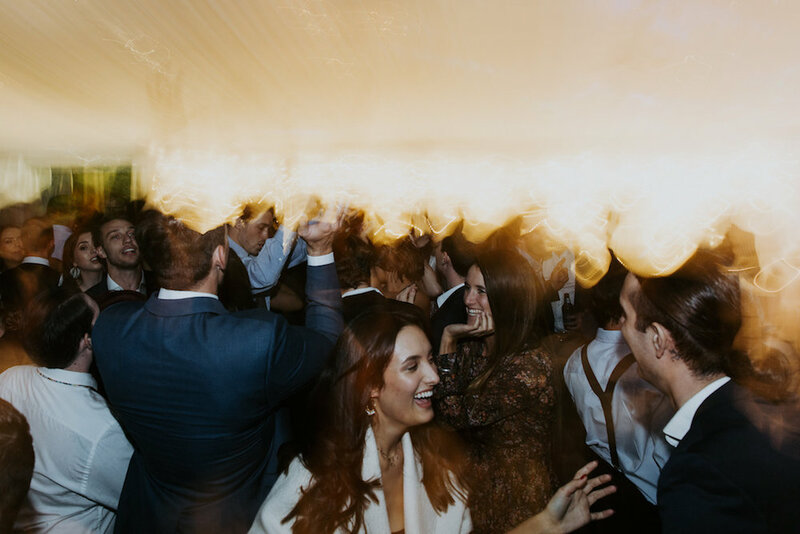 Think about some creative ways you can enhance the Christmas party experience for your guests with unique entertainment options such as photo booths, live music or even fireworks to name a few! Currently planning your Christmas party on the Gold Coast? Get in touch with our functions team for a copy of our 2018 Christmas party packages. 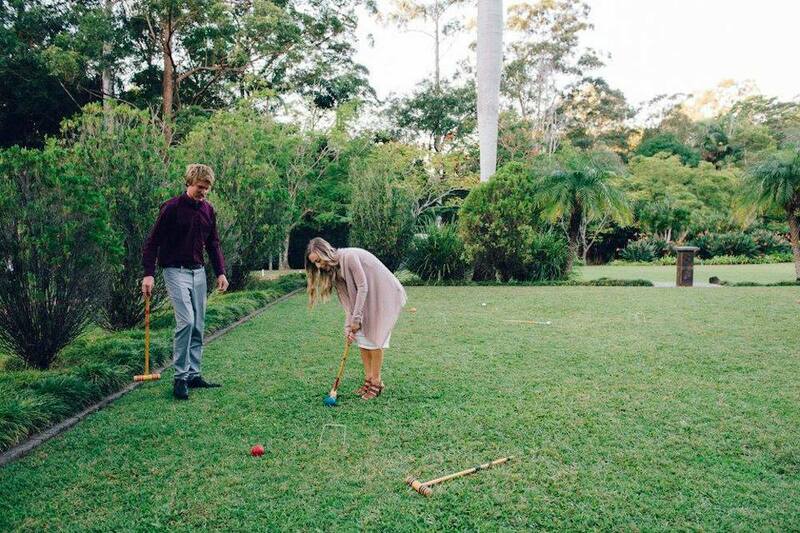 We love helping local businesses plan the perfect end-of-year celebration to remember at our Gold Coast hinterland function venue.